400 of years the Diamond has fascinated man for its alluring sparkle and physical hardness exceeding all other gems. Formed about 3 billion years ago beneth the the Earth’s crust by extreme heat, it may be the oldest item you will ever own. Before the rough diamond is transformed into a beautiful piece of jewelry, it must undergo several stages in its production. 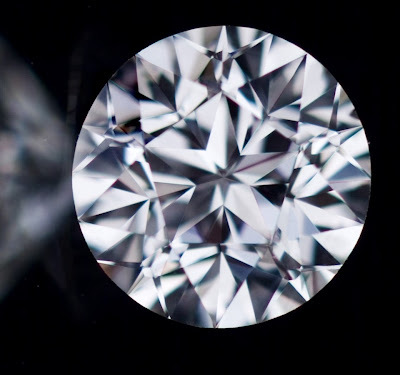 A diamond is one of the 4 forms of carbon that can be found in nature. It received its name from Greek word 'Adamas' which means unbeatable. It's the hardest natural mineral known on earth and has therefore a hardness of 10 on Moh's scale of mineral hardness. A diamond is made out of Carbon. Carbon, which is burned wood, becomes graphite under a lot of pressure (already relatively hard). Graphite on its turn under a lot of pressure will eventually become - after a few million years - a diamond. It is formed when extreme heat (temperatures of 2200 degrees Fahrenheit) and extreme pressure cause carbon atoms to crystallize forming the precious stone approximately ninety miles under the earth's surface. They reach the surface of the earth via volcanic pipes, or channels or via placer, alluvial deposits. 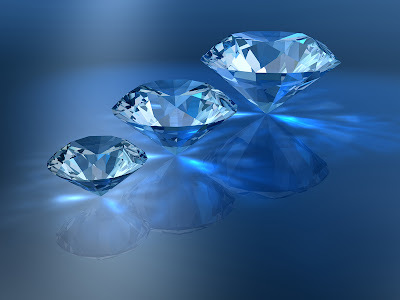 The strength of the precious stone comes from the way its atoms have been built up. Each O atom in a diamond links with 3 others and the connection lengths and corners are always equal. This is the tetrahedral structure which is also the most symmetric and strong.